The surgical removal of excess fat and skin on the upper and/or lower eyelid area is called blepharoplasty. It is a popular cosmetic surgery procedure worldwide. With age the skin in the delicate area around the eyes is affected more that the other parts of the body. It loses its elasticity and with loss of fat, the skin slacks and get bulge. The eyes look ‘baggy’ and tired. Blepharoplasty can correct this and restore the youthful look. Blepharoplasty can be done under local or general anaesthesia and may be done as a day surgery. Incisions are made along the natural lines in the upper and lower eyelids. Excess fat and slacking skin is removed and muscles tightened. This smoothens the skin especially in the corner of the eyes. There may be some discomfort, swelling and bruising in the area but this will gradually settle. Recovery is best when you carefully follow your surgeons postoperative advice. This may involve sleeping with the head slightly raised for about 2 weeks after surgery. The results of blepharoplasty are very pleasing and give the face a new youthful look. 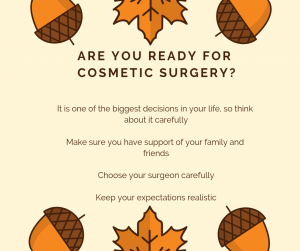 When should I expect to see the final result post a rhinoplasty surgery? should be patient and relaxed after surgery and allow the healing to take place. 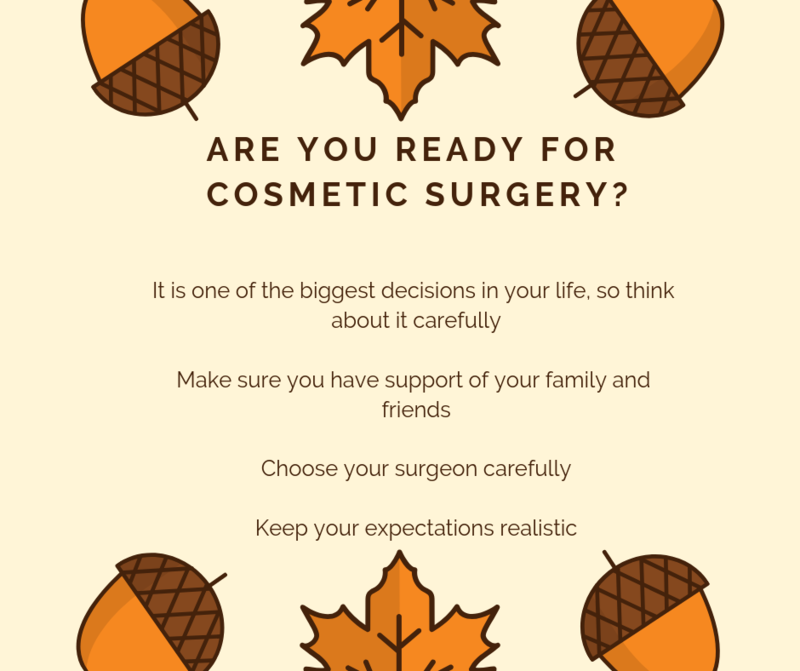 Do not expect to see the final result of the surgery till after all this has settled.